Are you ready to celebrate spring’s arrival after a long dreary winter? Check out these great ways to get outside on your spring getaway. We’ve also got ideas to get you planning for an early summer trip to Ontario’s Southwest, before the crowds arrive. From the end of April, Long Point Eco Adventures is open for the season. Long Point, a designated UNESCO World Biosphere Reserve that contains a large area of wetlands and woodlands, is just two hours away from Toronto -- making it the perfect choice for a quick spring getaway. The eco-adventures on offer include zip line and canopy tours, mountain biking and zodiac boat tours. 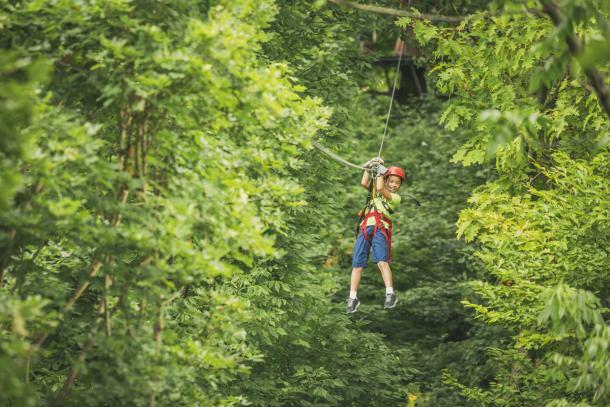 In London, Boler Mountain&apos;s Treetop Adventure Park offers an 1100 foot “big zip”, along with rope courses, swinging bridges, and Tarzan swings. Port Dover’s Radical Lines aerial adventure park boasts 64 different aerial challenges. If spring finds you wanting to play in the mud, consider a ride on some of the best cross-country terrain in Ontario. 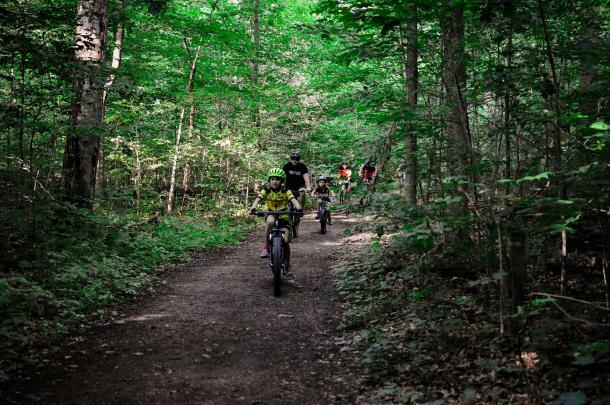 London’s Boler Mountain has nearly 20 km of looped trails with a mix of both steep climbs and declines with several drop-offs and just the right amount of technical riding. 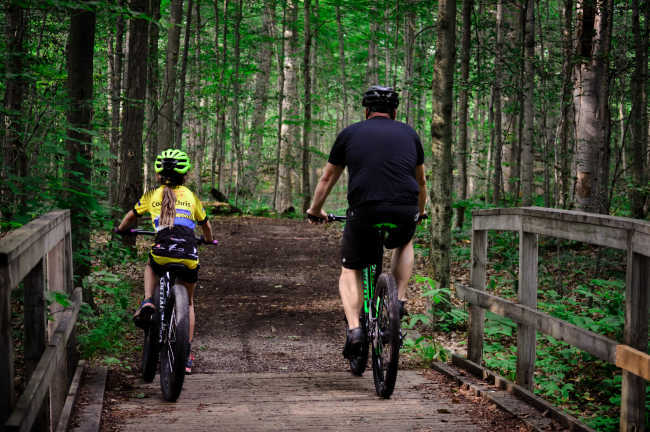 For an easier start to the season, The Pines, located on the east side of Woodstock, has 14 kilometres of trails suitable for all skill sets including a 1-km kid-friendly loop. The pine-treed forest offers up a unique ride experience and you can get your heart rate up on this fun and well-signed trail network. There&apos;s even a new trail, both on road and off-road, that travels from St. Thomas to Port Stanley called the Whistlestop Trail. Navigate this natural trail along St. Thomas paths and parks. Wander up to Sunset Drive, where the path meets Port Stanley Terminal Rail, guiding you to a vibrant beachfront town. You’re just a short drive away from one of the world’s best locations for experiencing the spring migration of over 270 species of birds. Canada’s South Coast Birding Trail helps visitors easily find amazing birding experiences. The “best of the best” birding bets for observing the spring migration in Ontario’s Southwest include: Point Pelee National Park, Pelee Island Heritage Centre, Ojibway Prairie Complex (Windsor), St Clair National Wildlife Area (Chatham-Kent), Rondeau Provincial Park (Morpeth), Pinafore Park (St. Thomas), Port Burwell Provincial Park, Bird Studies National Headquarters (Port Rowan), Long Point Bird Observatory Old Cut Research Station (Port Rowan), Rock Point Provincial Park (Dunville), Ruthven Park (Cayuga), Pittock Conservation Area (Woodstock), and Wildwood Conservation Area (St. Mary’s). 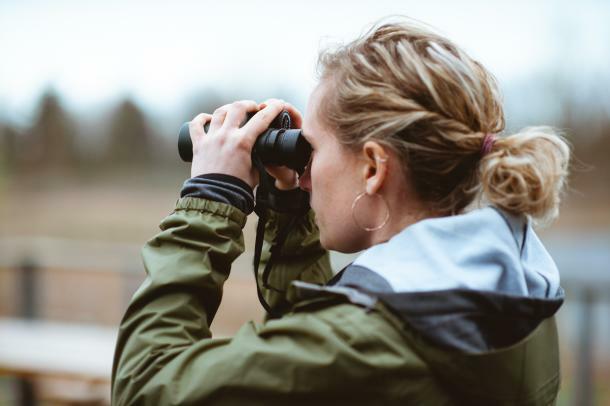 With family-friendly programming, guided hikes, educational workshops, competitive challenges, and special guests, the birding festivals in Ontario’s Southwest prove that birdwatching is anything but boring. 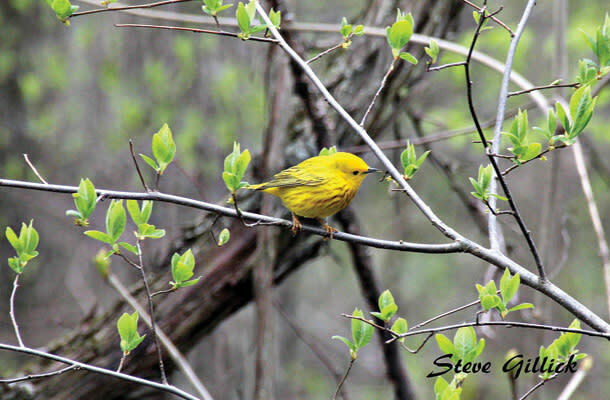 In May, don’t miss the Festival of Birds (Point Pelee National Park), Festival of Flight (Rondeau Provincial Park), Shore and Songbird Celebration (Hillman Marsh Conservation Area), and the Springsong Celebration (Pelee Island Heritage Centre). The time to book for the best campsite selection at Ontario’s provincial parks? Early! 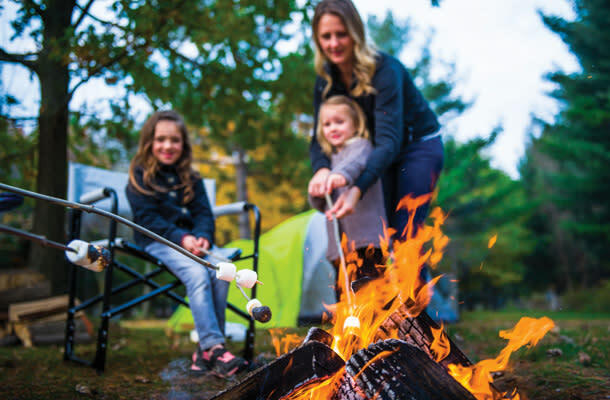 The provincial parks accept campsite reservations up to five months in advance, making this the time to make sure you’ve got your summer booking in place for the seven parks offering overnight camping in Ontario’s Southwest. Conservation areas like Pittock and Byng Island are other great options. If you’re not up to pitching your own tent, consider “glamping” (short for glamorous camping). You can experience the great outdoors without sacrificing luxury at the Wilderness Suites at Long Point Eco Adventures, the covered wagons at Texas Longhorn Ranch, the yurts at Pinery Provincial Park in Grand Bend, or the oTENTiks at Point Pelee. Lake Erie provides some of the best Walleye fishing in the world and now is the time to plan to catch the big one. 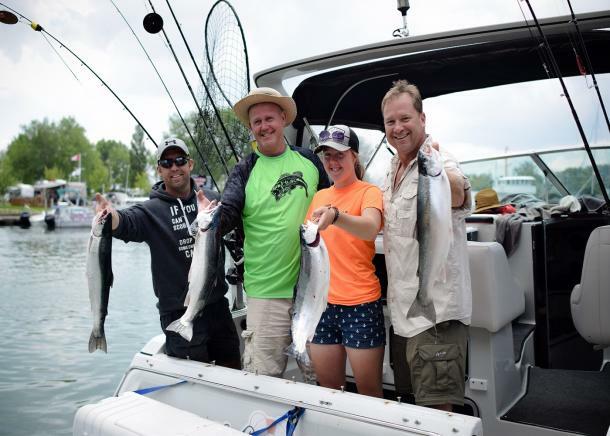 During the month of June, J&P Charters offers half day and full day fishing trips from Leamington, with trips on a well-equipped boat that are ideal for both beginners and experts. The Chatham-Kent area has ten different fishing charters to choose from and the Grand River offers a myriad of fishing options. Ontario’s Southwest offers fantastic paddling close to home with excellent opportunities for spotting wildlife. Long Point Eco-Adventures offer guided paddles on Big Creek, known as the Canadian Amazon. You might see some of the 200 bird species that use the area during the spring migration, or wait until June to find the turtles nesting in the marshes. 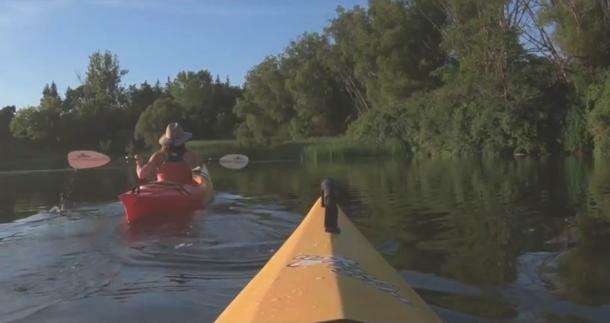 The Grand River, a designated Canadian Heritage River, is the place for a day of kayaking. Rent your kayak at Grand River Marina. Watch for bald eagles, beavers, deer and various falcons while you explore. For the really adventurous, you can paddle the entire Thames River through the heart of Ontario&apos;s Southwest just like the Happy Camper Kevin Callan did. Windsor Adventure Inc. offers a guided paddle and hike at Peche Island, one of Windsor’s hidden gems. Looking for more spring fresh air ideas? Browse all of the ways to play in Ontario’s Southwest. Looking for a spring vacation that’s as thrifty as it is fun? Browse our collection of spring offers and plan your trip around your favourite savings.